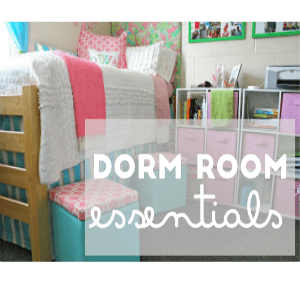 College Dorm Room Essentials Everything You Need To Furnish Your Dorm Room At Affordable Price. BRING NEW LIFE TO YOUR OLD MATTRESSESAll mattress covers are constructed of heavy-duty healthcare grade fabrics. Our vinyl fabrics utilize triple-ply construction to with stand physical and environmental abuse. The SOFlux OXŸ nylon is a very tough urethane coated fabric designed for added comfort and longer cover life. SOFlux OXŸ also provides a more comfortable sleeping surface by reducing body heat build-up and eliminating the plastic feel associated with vinyl. All covers are zippered at one end and down each side for easy installation.Quantity Discount is available. Double-Wide Laundry Hamper with Velcro Top. Easily Sort and Store Laundry without Baskets. Folds Up Out of Sight when Not in Use. Velcro Lid to Keep Dirty Laundry Out of Sight. Two Separate Compartments for Light and Dark Colors. Available in Three Colors. Color Shown: Tan with Cream:Dimensions: 25 In. x 15 In. x 26 In. This Book Case Come in Two Different Sizes (6 and 3 Tier) and Three Different Colors. Book Case is Available in Beech, Pink, and Baby Blue. Small (3 Tier) Book Case ONLY Available in Pink and Baby Blue. 3 Tier Book Case Size: 12 x 12 x 36 In. (H). 6 Tier: 12 x 12 x 71 In. (H). Premium 11.5 Cuft / 10lbs / 112 Locking Zipper for added Child Safety Double-Zippered for Security 100% Polystyrene Fill for EXTREME Comfort Officially Licensed Collegiate Product *In stock. This product normally leaves our warehouse within 1-2 business days. * Quantity Discount Available.